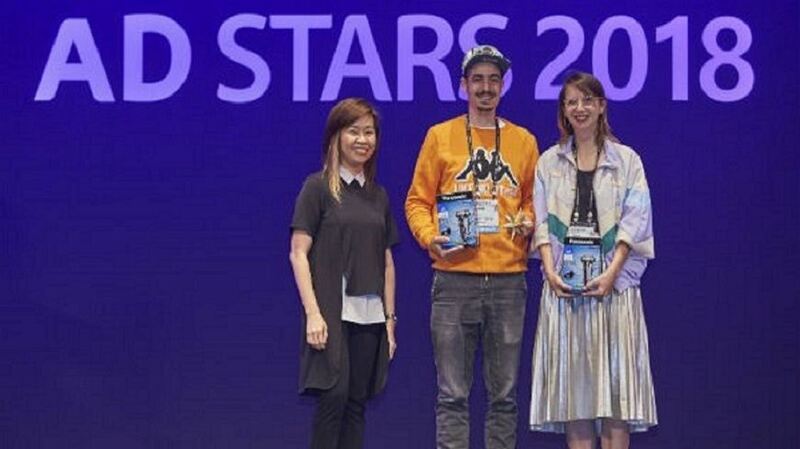 AD STARS has announced the winners of this year’s New Stars AD Competition for junior advertising professionals who have less than three years’ experience or are aged under 30 years-old. Congratulations to Dániel Trencsényi from DDB Budapest and Rita Eperjesi from Isobar Budapest, who won Gold for their ‘Soul, Grooming’ campaign. New Stars is designed to inspire young professionals to further their career in advertising by providing them with the opportunity to respond to a live brief, with just 30 hours to meet the deadline. This year, 40 teams raced to respond to the following brief: build awareness of Panasonic's premium electric razor to drive sales. Joey Tiempo, Executive Creative Director of NuWorks Interactive Lab in Manila and jury president for the New Stars, said, “The Gold winners were a pair from Budapest. One is from DDB and the other is from Isobar. Their work is called Soul Grooming, which touched on mental health, which I felt was very timely and culturally relevant. They were the only team to follow that line of thinking." She added, "I had a chat with the team. They said they were inspired by how South Koreans were so obsessed with personal grooming yet mental health is a pervasive issue in the country, with one of the highest suicide rates in the world. Their idea was an app that connects to the razor and checks their well-being as they shave at the start the day. What the jury liked more than the execution is the bigness of the insight, and how it gives a higher purpose to Panasonic as a brand."